One of the big teases of the previous Grand Theft Auto V trailer was that short snipped of online gaming. It looked massive with so many players causing chaos and roaming the city. We’ll be able to see it soon this week. Rockstar announced that this Thursday, August 15 will be the reveal of the online gameplay, dubbed Grand Theft Auto Online. Not only will we see gameplay video but there’ll also be some previews of the gameplay itself. Unsure what publications will be part of the reveal but it’ll be interesting to see nonetheless. It’s curious as to why it’s getting a separate billing from the main V title. It feels like it could be a separate entity from the main game. Whatever it is exactly, we’ll be here to show you the gameplay and whatever manic chaos ensues. 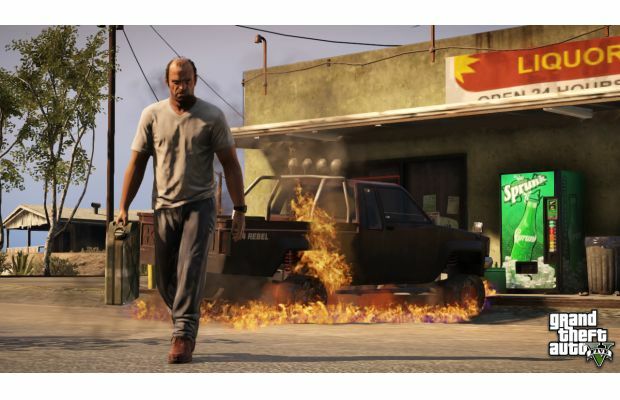 Grand Theft Auto V is scheduled for September 17 on Xbox 360 and PS3. What kind of chaos are you expecting in the multiplayer reveal? Let us know in the comments below or post on our Facebook or Twitter.